Ecovenue was a project developed by The Theatres Trust and jointly funded by the European Regional Development Fund. The objective of the project was to improve the environmental performance of the 48 participating theatre venues across London. 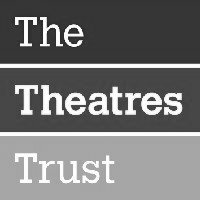 The Theatres Trust commissioned a project evaluation to identify the results of the project, but this was very formal, technical and copy-heavy. Working to tight timescales we crafted all copy for the Evaluating Ecovenue report. Based on the technical report, we created an engaging story about the project that has left a positive lasting record of its success. Crucially, the copy we created was accessible to an extremely wide audience including theatre owners, funders, staff and the general public.